In the years that Carlos Rosillo and Bruno Belamich have ran their own watch brand Bell & Ross (the name essentially a portmanteau of both their surnames), the two have made it very clear that aviation has been a clear priority in both inspiration for design and target audience. The two have mentioned time and time again that their love for all things related to airplanes, modern or past, were a big factor in creating their brand. But that’s not to say that’s all that drives their brand. 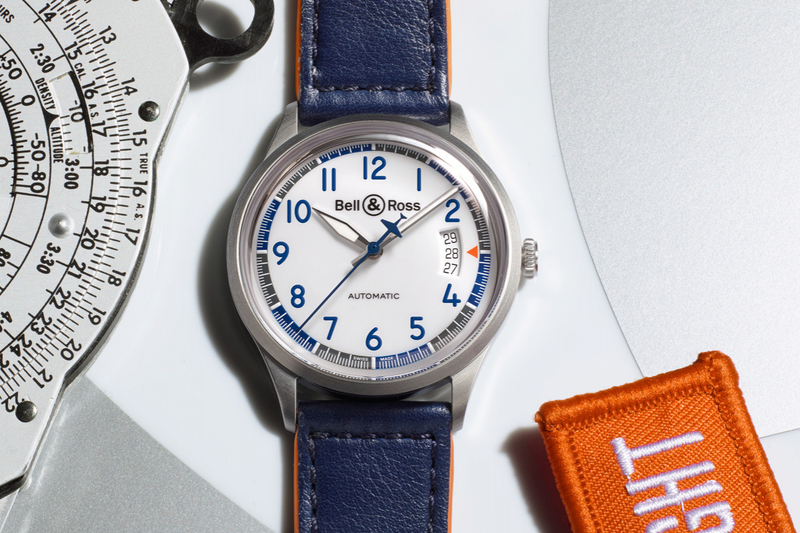 In recent years, Bell & Ross has opened up to other fields, not just limited to watches. A few years back, the brand unveiled its partnership with Shaw Harley-Davidson on the BR 01-94 B-Rocket, a motorcycle inspired by aviation. Next up was a concept car, christened the AeroGT, yet another aviation-inspired creation. The brand even designed a bellytanker vintage racing vehicle just last year. This year, Bell & Ross launched another concept design, but one much closer to its heart, we’d imagine. Introducing, the new BR Bird by Bell & Ross’ design studio. The slim propeller-driven racing plane was designed to compete in competitions such as the Reno Air Races, where planes fly at crazy speeds through elevated obstacles. The design is very much still a concept as a representative of the brand informed us, and will only be built as a real plane should a buyer choose the design. If you, like us, don’t quite have the dollars to plonk down for your very own plane, Bell & Ross has you covered, of course. As with every release of a new concept or even project, the brand has unveiled two new watches – the BR V1-92 Racing Bird and the chronograph BR V2-94, all playing with the same colour combination available on the plane. We’ve come to realise that over perhaps, the last three years, Bell & Ross’ design language has shifted from just its iconic square-shaped case to incorporate more round watches and it’s a choice that has seen the brand more relevant with younger audiences. The two new pieces are no different. The BR V1-92 Racing Bird is a great looker that plays around with vintage-inspired stylings. At just 38.5mm wide, the watch is already on the right track for the look. The white lacquer dial with the light blue numerals adorning it feels like a positive throwback to the past. If there’s one thing Bell & Ross has been great at, it’s always been design and it shows with the watch. The light orange accents, at the date indicator and the sides of the straps, lends a touch of colour. The other half of the pair of Racing Bird watches is the BR v2-94 Racing Bird, a now iconic chronograph for the brand. The same colours are used across the watch but to greater effect. The orange is seen not only on the date indicator as with the V1-92, but also on the central chronograph hand and the chronograph counter at nine o’clock. The alternating grey and blue minute track is also one of the elements on the watch that draws the eye subtly. The BR v2-94 Racing Bird sees the same screw-lock crowns for the chronograph pushers that gives it a distinctive rather antiquated feel that we like. At 41mm, it’s a great size and wears well on the wrist. The watch also comes in a blue calfskin leather strap variant. The handsome pair is unfortunately limited to just 999 pieces each so if you’re finding yourself drawn to the colours and style of the Racing Bird collection, we advise you to call up your closest store as soon as possible.